Earn up to 145 Points Points. 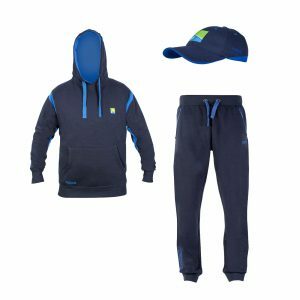 This eye catching, classy clothing will ensure you look the part on the bank as well as ensuring you remain warm & dry. Features fully taped and stitched seams. 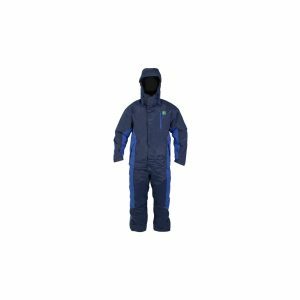 The jacket offers full protection from the elements with a windproof material as well as an ergonomic adjustable hood, storm cuffs with velcro closure, cord-lock adjustable waist & hem and high neck for maximum protection. There is amble space to keep your belongings safe whilst fishing including 2 x hip pockets & 1 inner pocket. 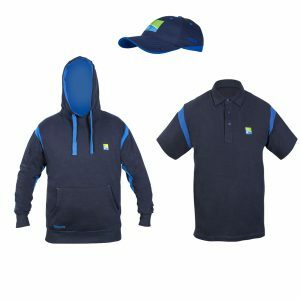 To finish off the impressive spec, the jacket features tasteful branding including branded rubber zip pullers alongside branding on the front left chest, top right arm and back centre. 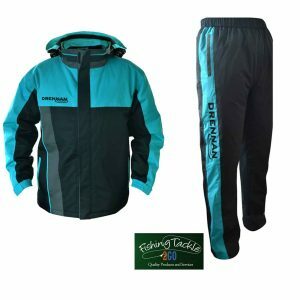 This eye catching, classy clothing will ensure you look the part on the bank as well as ensuring you remain warm & dry. Features fully taped and stitched seams. 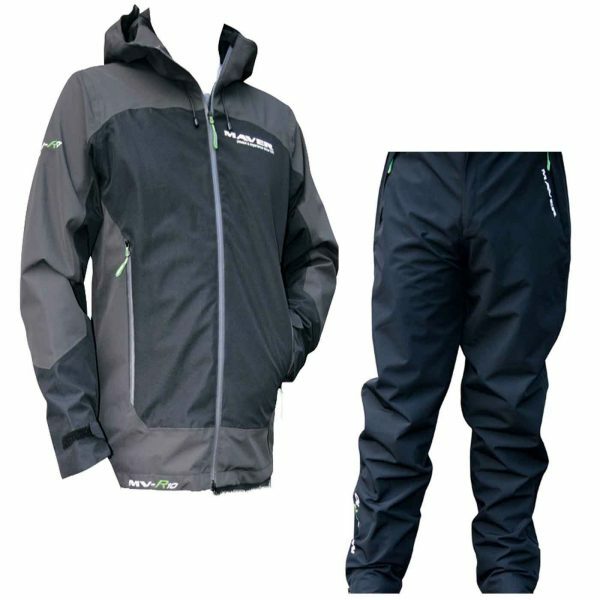 The trousers offer full protection from the elements being made of a windproof material. The MVR10 waterproof trousers are extremely comfortable boasting an elasticated waist, velcro adjustable ankles and adjustable leg length. Sizing is generous to allow for ease of movement. There is amble space to keep your belongings safe whilst fishing including 2 x zipped waist pockets & 1 back pocket. To finish off the impressive spec, the trousers feature tasteful branding including branded rubber zip pullers alongside branding on the right ankle and left front pocket.